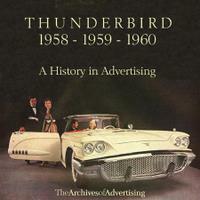 Ford Thunderbird car books includes the history and development of the iconic Thunderbird. The Thunderbird or T-Bird, is an automobile manufactured by the Ford Motor Company in the United States from 1955 through to 2005. 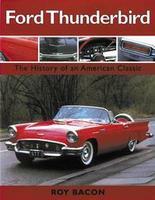 Ford Thunderbird by Roy Bacon (2000) is the history of an American classic. 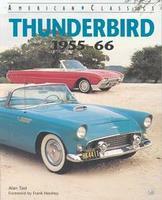 Catalog Of Thunderbird ID Numbers 1955-93 by Cars & Parts Magazine (1994). Excellent year-by-year guide to body styles, options, engines, etc. 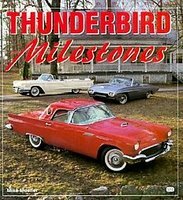 Thunderbird Performance Portfolio 1958-1963 by R M Clarke (2002) is a book of contemporary road and comparison tests, technical and specification data, consumer analysis, new model introductions, history. Models covered include: 352, 430, 390. Ford Thunderbird Performance Portfolio 1964 -1976 by R M Clarke (2000). Reprinted articles from major automotive magazines deal specifically with your favourite Thunderbird models. Filled with road tests, specs, driving impressions, articles on model introductions, used car features, history and tuning on Cobra Jet, convertible, sedan and Landau models. 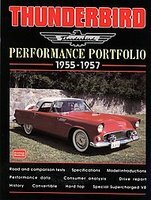 Ford Thunderbird Performance Portfolio 1955 - 1957 by R M Clarke (2000) is a book of contemporary road and comparison tests, new model introductions, driver's impressions, technical and specification data racing and history. Models covered include: FX-Atmos, 256, 292, 312, Streetliner and F-Bird. 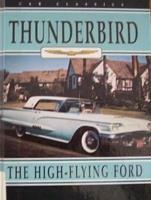 Thunderbird: The High-Flying Ford by Linda Craven (1993) gives a brief history of the Thunderbird automobile describing its special features and most popular models. 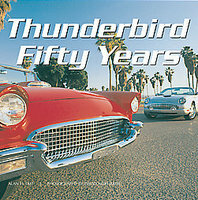 Standard Catalog Of Thunderbird 1955-2004 by John Gunnell (2004) traces the lineage of the famous Bird through fantastic colour photography, detailed trim, option, and production information, and year-by-year recaps of the T-Bird's development from 1955 to the present. Soaring Spirit: Thirty Five Years Of The Ford Thunderbird by John Katz (1989). A complete story of this popular car, covering every juncture in its 35 year history. 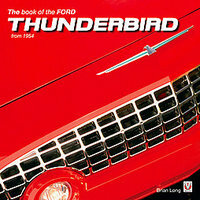 The Book Of The Ford Thunderbird From 1954 by Brian Long (2007). The full definitive history of Ford's iconic Thunderbird sports car from 1950s dream, through to a year-by-year analysis of the production models. Ford Thunderbird 1958, 1959, 1960: A History In Advertising by William McBride (2001) CD ROM collection of magazine and newspaper ads from 1958-1960. Thunderbird in 1958 defined The Personal Luxury Car: a slightly-smaller-than-full-size motorcar with passenger space for four, upscale appointments, full gadgetry and above average performance among its peers. Thunderbird! 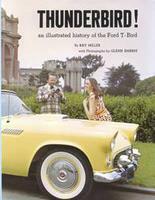 An Illustrated History Of The Ford T-Bird by Ray Miller (1973). A collectors must-have as it details identifying features of T-Birds. This book that will date any correct & original car, can also reveal any that incorporate features that are a month or two in advance of the cars known age, or a month or two after the feature was dropped or futher updated. Thunderbird Milestones by Mike Mueller (1999). This full-colour gallery examines the T-Bird from the first models to the last versions built in 1997 and the new edition Ford will introduce in the year 2000. Exemplary photography features cars from all eras. Special emphasis is given to the marketing strategies that helped make the T-Bird Ford's signature car for more than 40 years. 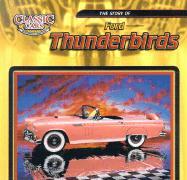 Thunderbird: Ford's High Flier by Jay Schleifer (1994). A history, featuring full-colour photographs of one of America's most popular sports cars, traces the Thunderbird's development in 1955 as competition for the Corvette, showing how it was modelled after an aeroplane. Thunderbird 1955-66 by Alan Tast & David Newhardt (1996). 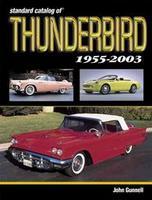 The history of the T'bird and the politics of the engineers and management at Ford during the development of the car. 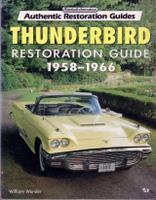 Thunderbird Restoration Guide 1958-1966 by William Wonder (1997) covers the myriad details critical to correctly restoring Ford's premier offering. William Wonder brings his many years as a Vintage Thunderbird Club International technical adviser and concours judge to bear in this in credibly detailed guide. 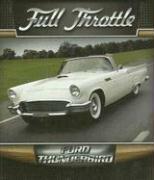 The Story Of Ford Thunderbirds by David Wright (2002) follows the development of this American original, highlighting the early two-seaters and the larger and more luxurious models of later years, as well as today's version, which captures many of the qualities of the first Thunderbird while pointing the way to the future.